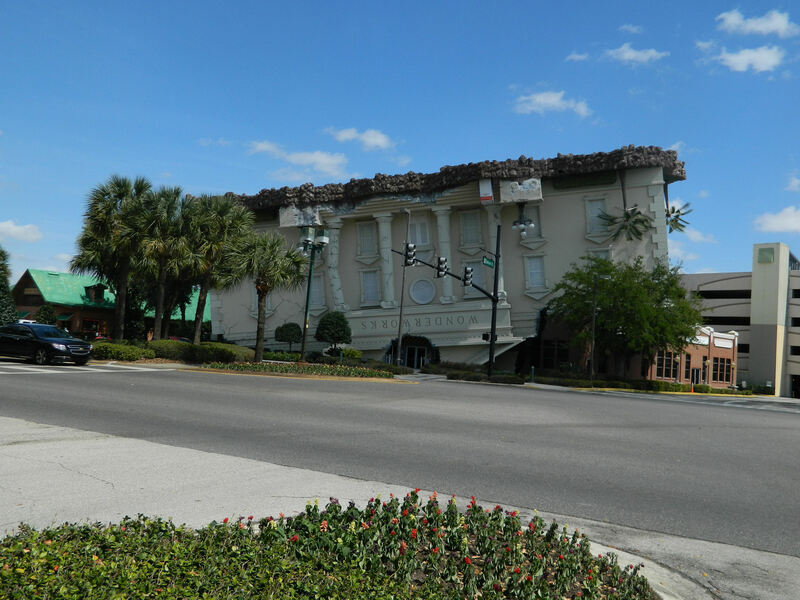 When I lived in Orlando, Florida, I often drove past WonderWorks and smiled at its crazy exterior — the large building is quite literally upside-down, with guests entering through what appears to be the old roof. 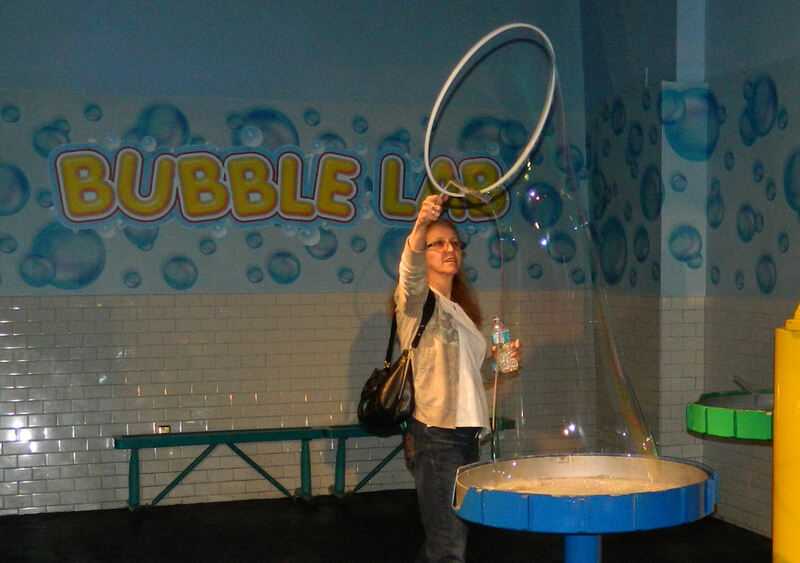 It always looked like fun but because WonderWorks bills itself as an “interactive family attraction,” I thought it was mostly meant for kids. But on my recent trip back to the area, I learned that was wrong. 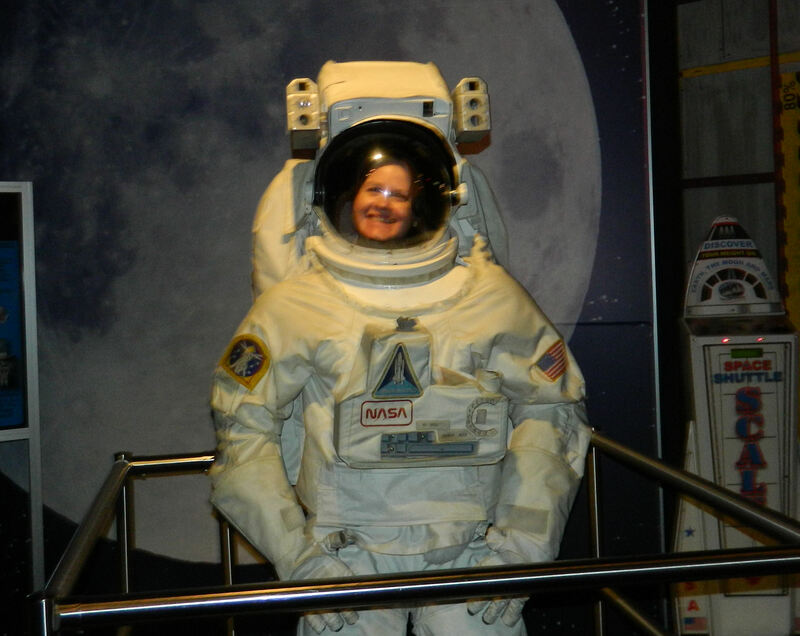 True, it is a kids’ science/education museum but most of its more than 100 hands-on exhibits are enjoyable for people of all ages — including me! As with most of the heavily themed attractions in Orlando, this one has a fictitious but fun backstory. 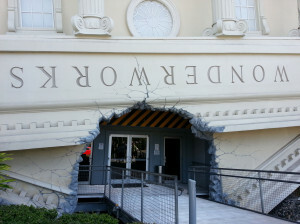 Supposedly, WonderWorks started out as a top secret research lab on an island inside the Bermuda Triangle. But when the scientists there tried to create a tornado, the subsequent swirling vortex tore the building off its foundation, carried it to Florida, and landed it upside-down. “Remarkably, all of the experiments remained intact and functional,” notes the site’s website. 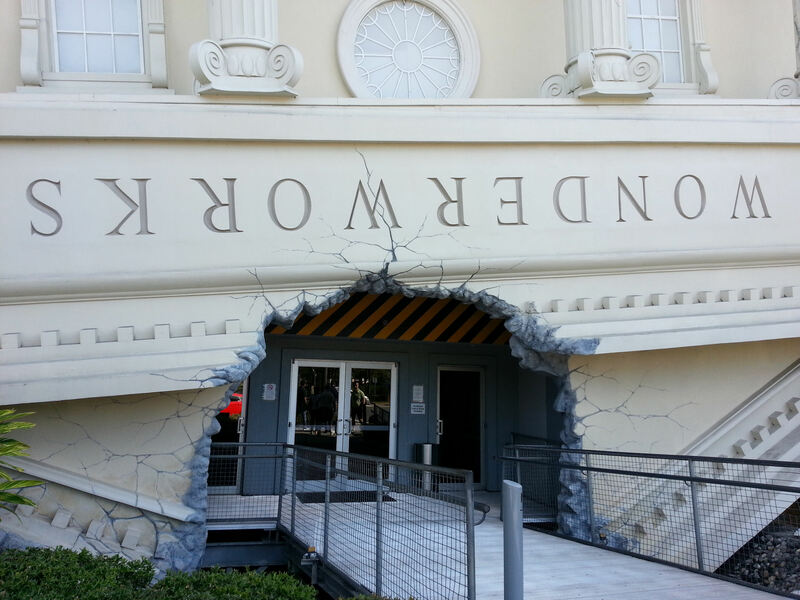 Just some of the exhibits at WonderWorks include the Hurricane Shack, where guests can experience 71 MPH winds — and where I lost the sunglasses that had been sitting on top of my head! 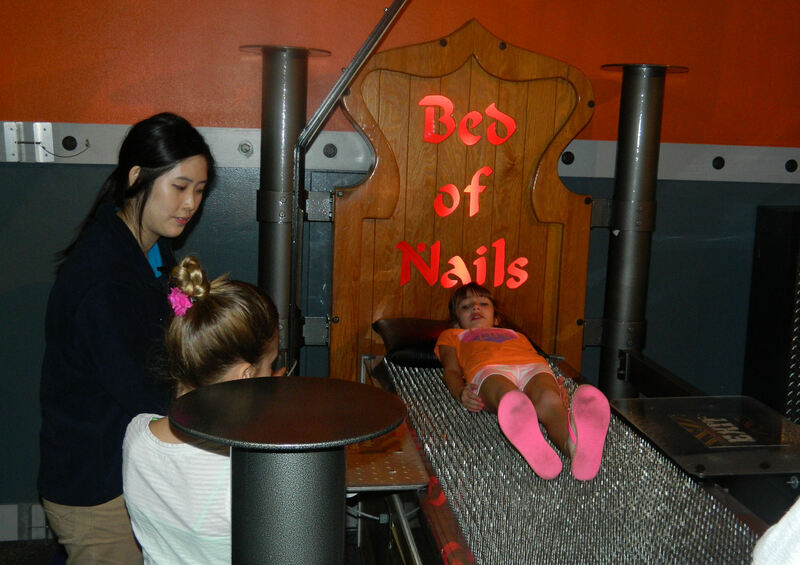 Also, there’s an eerie Bed of Nails (where a little girl showed no fear and stepped right up to participate), a Bubble Lab, lots of Virtual Sports machines, a “shadow catcher,” digital painting set-ups, a roller coaster design station, an Illusion Gallery, and even the MindBall game, which uses EEG technology. Yep, that’s a bed of nails. Yikes! There was also a really long, 4-D motion simulated thrill ride in a dark theater (they were showing “Canyon Coaster” the day I was there) and a glow-in-the-dark Indoor Ropes Challenge Course hanging from above. That I just had to try for myself. Overall, this was a really fun way to spend several hours. I’m glad I finally stopped in and went exploring! Note: general admission tickets are $24.99 per adult and $19.99 per child, which are actually pretty cheap by Orlando standards. Sounds like a fun place. 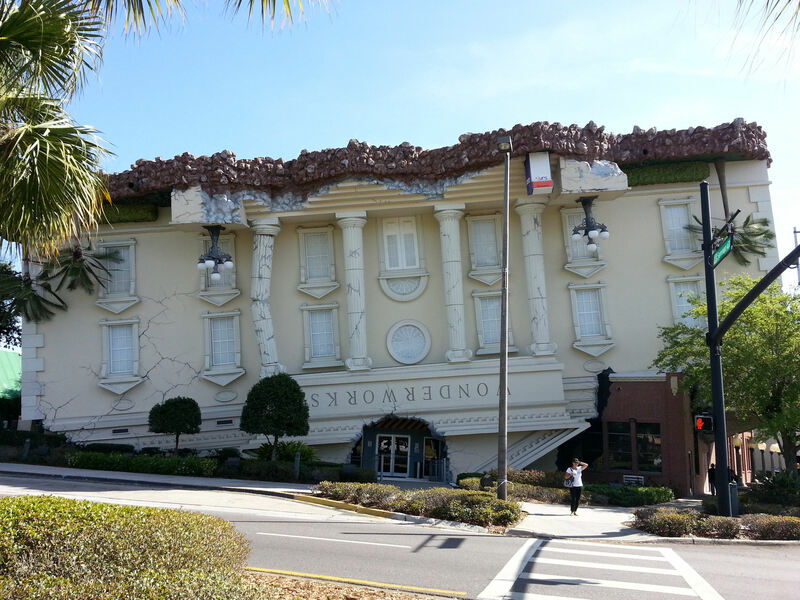 We also saw the upside down building, but decided not to stop. This story makes me sorry we didn’t go in. 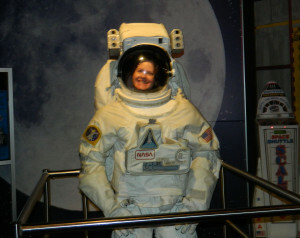 By the way, you’re a cute astronaut. Hehe! Thanks for the compliment. And it sounds like you did what I did before – drive by but never stop. 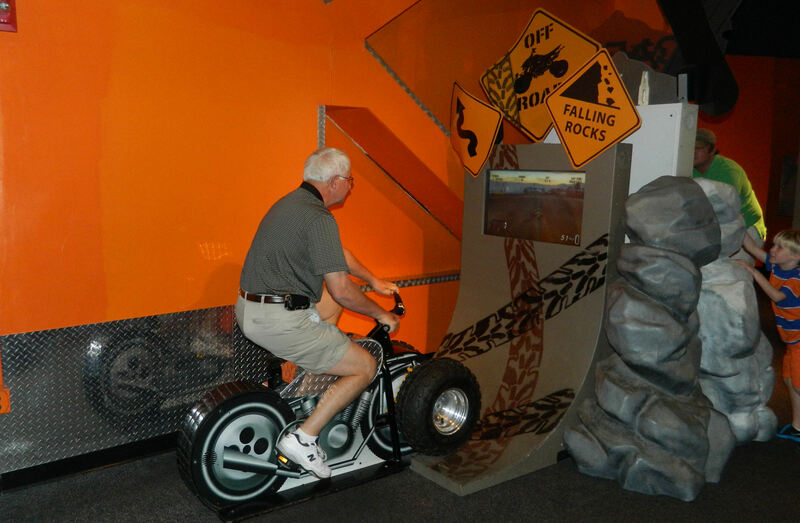 I had no idea it was so much fun. Lesson learned: stop at anything that looks interesting! I am speechless…which is saying more than most people would think about me. Wonderful! I know what you mean — it really is pretty crazy! Another fun day in Orlando. 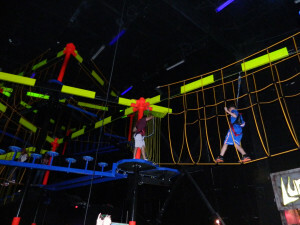 This looks like a vey fun place. 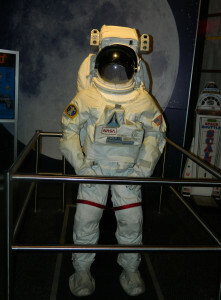 I’ve been past it many times while visiting Orlando but never got the chance to go inside. Thanks for sharing. 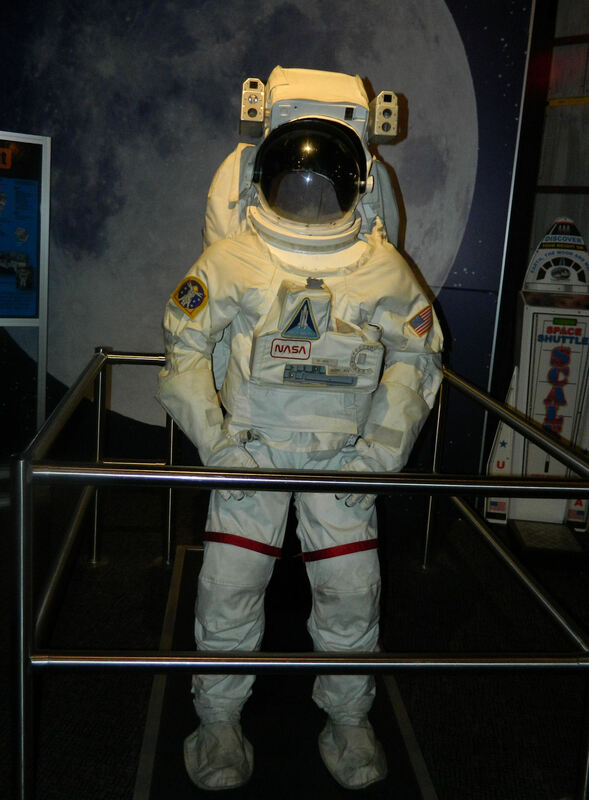 Fun looking astronaut. Interesting that so many people have noticed the building but never stopped. Hopefully I’m helping to change some minds for next visits. How fun! If I ever make it back to that area I’m definitely going there. Shared on SU.